The conference known in previous years as Transmedia Hollywood cast its eye towards the future of the industry. What emerged was a sense of how fans, and more importantly, fan communities are about more than just a group of people who are passionate about a particular TV show or film. 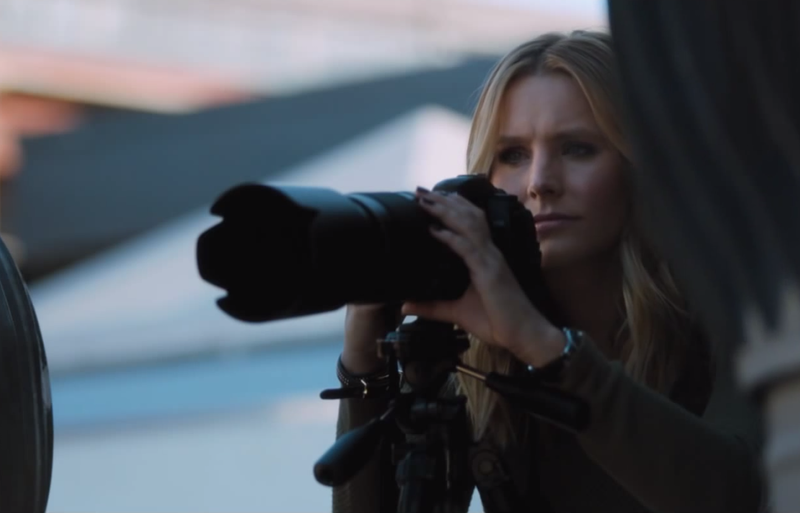 “Fandom is not just about expressing to the object of your fandom that you love it — it’s also about connecting with other fans,” Ivan Askwith, who was lead strategist on the Veronica Mars Kickstarter campaign, said. Askwith credited the Mars fandom with the film’s eventual existence. “For Warner Bros, the concern wasn’t the money — what they were interested in was whether there was any meaningful audience for a Mars movie,” he said. The enthusiasm demonstrated by the community ended up more than making the case for the film. This isn’t the first time fans have successfully brought back a series — Askwith also cited the fan-driven campaign to save Chuck by directly engaging with potential sponsor Subway — the sandwich chain came on board as a major sponsor for the show’s third season (literally saving it from cancellation). Because the fans were the driving force behind the Subway sponsorship, they didn’t mind the subsequent product placement: “It wasn’t something the audience resented. It was something the audience loved,” Askwith said. There were caveats given about overemphasizing the power of the fan — while Askwith said that “From the business side, fandom becomes a useful metric,” he did caution against relying heavily on things like Facebook likes to quantify the passion of an audience. “A follow doesn’t mean love,” he said. And Free said that while “social media is important to understanding where the buzz comes from,” she and BET still focus on ratings as the key metric by which they judge success. But fandom’s biggest champion came in the form of Orlando Jones, who brought the day to a close in a conversation with USC professor, conference co-director and “aca-fan” Henry Jenkins about his engagement with fandom. 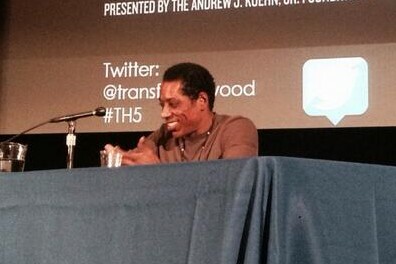 Jones speaks at Transforming Hollywood 2014. Jones, who’s built a reputation for embracing fan culture on a level most actors wouldn’t even dare, doesn’t see anything revolutionary about his level of online interaction, which spreads from Twitter to Tumblr. Jones originally connected with Jenkins on Twitter, after one of Jenkins’s students noticed Jones tweeting about how he was reading Jenkins’ 1992 book Textual Poachers, which covered the early years of emerging fandom. “I went beyond thinking about fans as individuals to thinking about fans as a culture, so I did what anybody would do — I found the smartest person in the room,” Jones said. What an exciting future! Interacting with the community and bringing a product back to the fans is what it’s all about. In all business, there is only a product while there a fans, so it’s important to talk to them and listen to their feedback. This conversation makes it seem like the movie/TV industry is a decade behind the music industry. Guess the lack of interaction with it’s audience is a problem for video while in music the artists and the audience interact often. There are a few problems that should be noted. Too many aim for the broadest audience possible and we end up with content that is watchable but doesn’t make anyone happy, like most shows on TV – this won’t change unless the content delivery changes but sleeping regulators are making that hard. Another problem is that if the content is made for an audience, it ends up being only as “smart”as it’s audience and that’s a pretty big step backwards. After all, film used to be art, not detergent and this machine generated content just can’t be art., there are no artists and there is no innovation.Ofc things are already really bad with focus groups ,with studios having the final cut so rather hard to go lower.